This studio focused on the theoretical and ethical issues concerning the reuse and modification of existing structures. This project in particular endeavored to construct a youth hostel in a 12th century abbey that had been damaged in World War I. 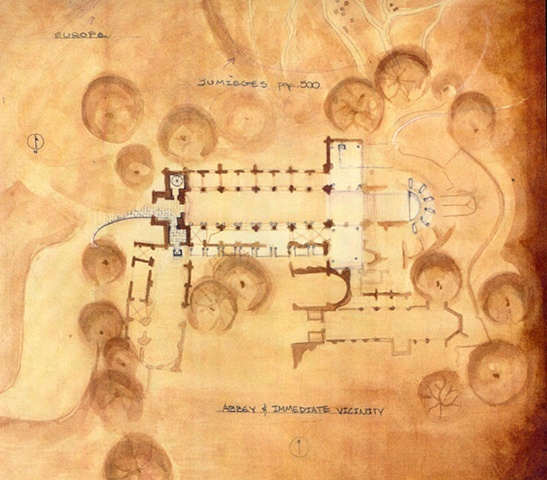 An attempt was made to reinforce the sacredness of the ruins, while infusing the site with another layer of experience. The generative concept for this project was a parasitic relationship between the new and the old. The new addition took on the role of the parasite, while the ruins became the host. This idea spoke of how the parts might associate and respond to one another. As in nature, the outcome of the relationship would aspire to be synergistic, with the host and the parasite benefiting from one another.